HERE IS A PDF! CLICK HERE! Artist Joel Armstrong was raised in Corpus Christi, TX, where he grew to love fishing, salt air, humidity and rust. He attended Texas Tech University, and spent over 20 years as both an illustrator and graphic designer. While art director of Group, a magazine for youth ministers, at the age of 39, Joel returned to College to receive his MFA in drawing from Colorado State University (2001). At CSU, Joel began to work in wire, and then became interested in Installation art. He has continued to do wire installation for almost 15 years after graduation. More recently, he has begun working with nickel/silver wire, rust and gold paintings, as well as aluminum public art pieces. He currently teaches drawing and illustration at John Brown University in Siloam Springs, Arkansas. He is married to an artist, with 3 adult children. Time and space are integral to my compositions. I collect wire drawings into gatherings that either attach to the walls or suspend from the ceiling. I add sounds, light and sometimes even smells the work together with the drawings to create a multisensory environment. My aim is to make people feel at home and offer them time to absorb each piece and to be a part of something special, something bigger. Installation view, Gaggle of Geese, John Brown University, 4 ft aluminum geese. 2018 If You Only Knew, Old Courthouse Art Center, Woodstock IL. Of A Feather, Ann Marie Sculpture Garden and Art Center, Dowell, MD. To Be Heard, Old Courthouse Art Center, Woodstock, IL. 2017 ART INC Exhibition, Art Center of the Ozarks, Springdale, AR. Holiday Art Sale, Gallery at Midtown, Bentonville, AR. 23rd Annual ANA Regional Exhibit, Fayetteville, AR. 2016 When Language Meets Art Louise Hopkins Underwood Center for the Arts, Lubbock, TX First Place Award. Art that lifts our Spirits, Manhattan Arts.com, New York. NY. 2001 This American Lawn, Mesa Contemporary Arts Center, Mesa, AZ Jurors Award: selected as part of two-year traveling exhibition. Pleiades Gallery, 16th Annual Juried Exhibition, New York, NY. Juror: Ivan Karp. Figurative Show, Core Art Gallery, Denver, CO. Jurors Choice Award. Northwest Arkansas Artists Exhibition, Fayetteville, AR . Honorable Mention. It's Time to Address'er Drawers, Art Center of the Ozarks, Springdale, AR. CLOTHESlines, LHUCA, Lott Gallery, Lubbock, TX. 2001 Drawn and Quartered; a Bipolar Frame of Mind, Hatton Gallery, Ft. Collins, CO. MFA Thesis Exhibition. Installation view, It's Time to Adress'er Drawers. London, England. 2011 Garage Sale, a wire based installation by Joel Armstrong, Self-Published, 2011. 2010 Armstrong proves victorious in bipolar battle, The Threefold Advocate, 2010. Nadia Russ, 21st Century Art: Compendium of New Millinnium Contemporary Art, Neopop realism. August, 2009. 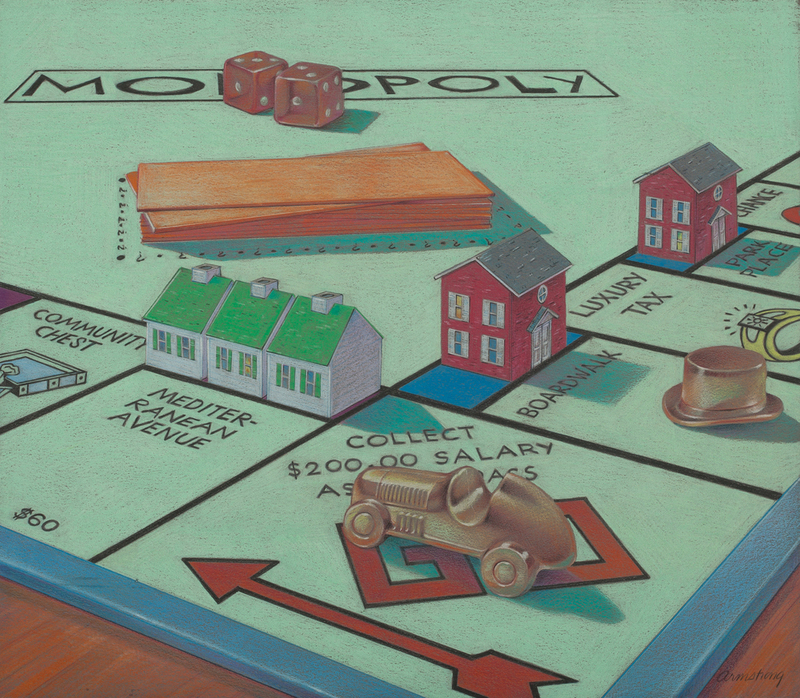 2008 Annie Melion, iATC’s Member Artist Feature—Joel Armstrong, Art Trader Magazine, Issue 2, Spring, 2008. Sal Scheibe, The Best of IllustratedATC.com, Illustrated ATCs.com. August 2008. 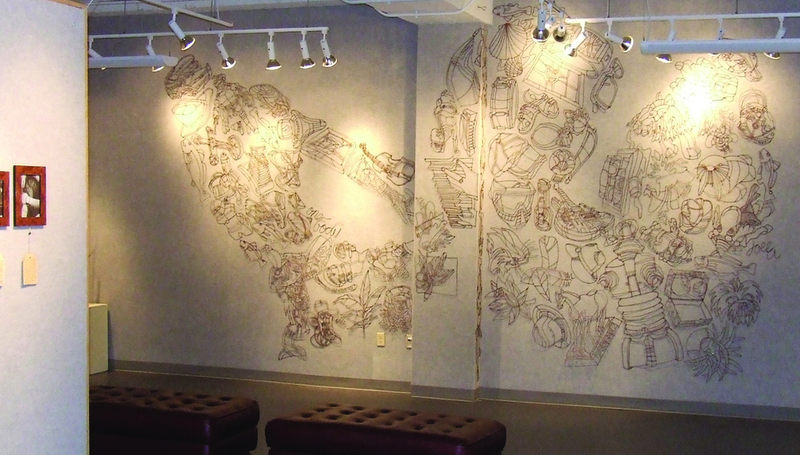 2007 Armstrong uses baling wire art to build community, Arkansas Democrat Gazette, 2007. Artist Drawn to New Dimensions, Northwest Arkansas Times, 2007. All in one, Northwest Arkansas Times, 2007. Joel Armstrong draws an intimate portrait of JBU art department, What’s Up!—Northwest Arkansas Times, 2007. 2006 Professor bends wire art into campus installation, The Threefold Advocate, 2006. 2005 Joel Armstrong, Drawn and Quartered, a Bipolar State of Mind. CIVASEEN, Christians in the Visual Arts, Fall 2005. Drawing with wire, Our Town—The Morning News, 2005. JBU art show opens Tuesday, Arkansas Democrat Gazette, 2005. 2004 Art in London, Herald Leader, 2004. 2000 Wired; Artist’s touches evoke memories, Loveland Reporter Herald, 2000. Mow better blues, Newtimes, 2000. American Lawn’ fills the eye, Reach, 2000. Installation view, One Body. John Brown University. 2008 Inspiration through Collaboration, Paper presentation, St Brides Type Library, London, England. 2015 Llano Workshop, Llano, TX. 2014 Llano Workshop, Llano, TX. 2013 Glen West Workshop, Oil Pastels, Image Journal, Sante Fe, NM. 2010 Glen East Workshop, Weaving Workshop, Image Journal, Amherst, MA. 2009 Glen Workshop, Collage Workshop, Image Journal, Sante Fe, NM. 2007 Glen Workshop, Assemblage workshop, Image Journal, Sante Fe, NM. Art New England, Summer workshop, Wire Sculpture, Bennington, VT.
2006 Visual Arts Summer Workshop, Figure Drawing, CIVA, Gordon College, MA. 2005 Glen Workshop, Assemblage workshop, Image Journal, Sante Fe, NM. Rust and Gold, 100 Drawings. Art New England, Summer Workshop. Bennington, VT.
Res Artis summer fellowship, Atliers Fourwinds, Aurielle, France, 2010. 1991-2000 Art Director, Group Publishing, Loveland, CO Responsible for the design of Group Magazine, and Vital Ministry Magazine. 1987-89 Art Director, Killion McCabe and Associates, Dallas, TX. Responsible for the design of Kids! Magazine, a Moody Monthly publication. 1986-87 Art Director, Texas Instruments, Dallas, TX. Responsible for design of military trade show displays. 1980-81 Art Director, Teledyne Merla, Garland, TX. Responsible for all collateral material and trade show displays.